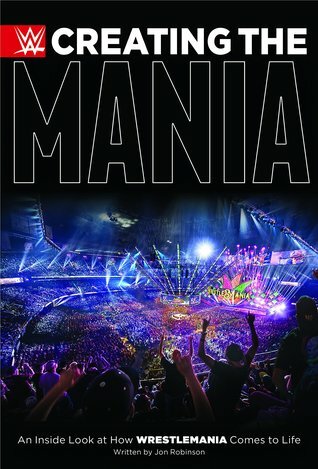 Author Jon Robinson takes a look at the tremendous amount of planning it takes to bring together WWE’s annual flagship show, WrestleMania. Honestly, with Creating The Mania, I was expecting a WWE produced fluff-piece. However, I was pleasantly surprised with both the honesty from those involved as well as the impressive detail on display from Robinson. Extensive interviews with performers, writers, producers and representatives from host cities reveal the twists, turns, bumps and potholes that make up the road to WrestleMania. What I found most interesting was the planning process when it comes to finalizing the card as well as choosing the winners and losers. It’s been known for a few years that WWE head-honcho Vince McMahon rarely has anything nailed down and will often change his mind on finishes multiple times – even mid-match! With the main event of Roman Reigns and Brock Lesnar seemingly planned up to two years in advance, it blew my mind that even three months out from the biggest show of the year, that was the only match set in stone. I suppose that adds to the belief that when it comes to ticket sales, the brand is what people pay to see rather than performers and specific matchups. Although I did say earlier in the review that I appreciated the candid nature of the book, it’s hard to imagine the author was allowed to criticize much within a WWE-produced release. Missing is any real critique of the creative process when a storyline or angle falls flat – for example, the 25th Anniversary episode of Monday Night Raw is painted as a success despite the poor reception from fans and critics alike. The negative response to the main event is largely ignored (aside from a sentence or two) and missing is any mention of the controversy surrounding the “Fabulous Moolah” Battle Royal. Despite the above, I did enjoy this book overall. The amount of work it takes to not only produce an event the size and scope of WrestleMania, but to keep the WWE machine rolling is an incredible achievement. I consider myself a nerd when it comes to the behind-the-scenes components of wrestling, and by interviewing guys like Ed Kostky (head writer on WWE RAW), you get a glimpse into the inner workings of the WWE monster. This is one of the better in-house WWE produced books I’ve read in recent years. I’ve already recommended it to a few people, so hopefully this isn’t the last book written by Jon Robinson within the WWE Universe.